Lots of great links and pages and other stuff to check out here! Uniting the paranormal community to raise money and awareness for St. Jude Children's Research Hospital, via the "Raising Spirits for St. Jude" campaign. Thank you to classic rock band STYX for suprising Friends & Fans for St. Jude founder Laura Richter by donating an autographed Fender Stratocaster. 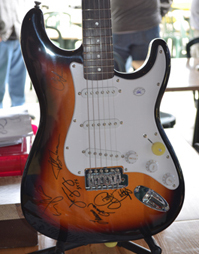 Raffle tickets for the 2012 Guitar of Hope will be sold for $1 each, with the drawing held December 2 at Jingle Jam IV! 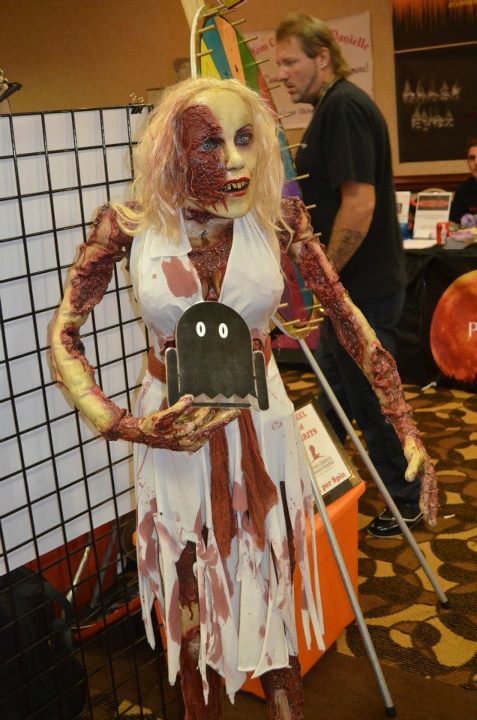 Marilyn Moonroe is a celebrity zombie who resides at the Haunted R Theater in Auburn, IL. With her killer looks, Marilyn has a big heart that exemplifies beauty is more than skin deep. She is the celebrity spokes model for the Friends & Fans for St. Jude campaign, "Raising Spirits for St. Jude." As such, she travels to various paranormal conferences and haunted events throughout the Midwest, helping to raise money and awareness to find cures and treat children with cancer. To date, Friends & Fans for St. Jude has donated over $50,000 to St. Jude Children's Research Hospital.